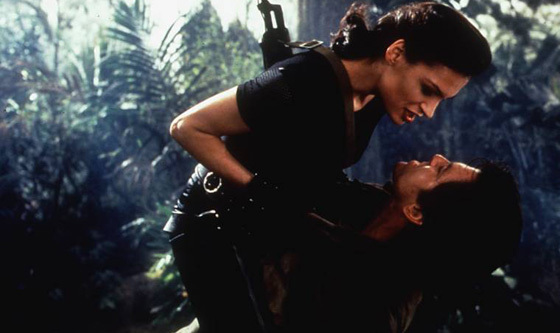 The six year gap between License to Kill and GoldenEye was an eternity in Hollywood terms. Over that time, the Batman franchise became huge, and with Jurassic Park, the era of huge special effects extravaganzas began. In his return, James Bond would have to prove that he was still relevant to Hollywood. It is not a new position for Bond to be in. Throughout its history, the Bond franchise had the chameleon like ability to mimic popular trends of the time to become more successful. The most prominent example being Moonraker coming on the heels of the success of Star Wars, and later Casino Royale tapping into both the Bourne franchise, and the Batman Begins “origin story” approach. 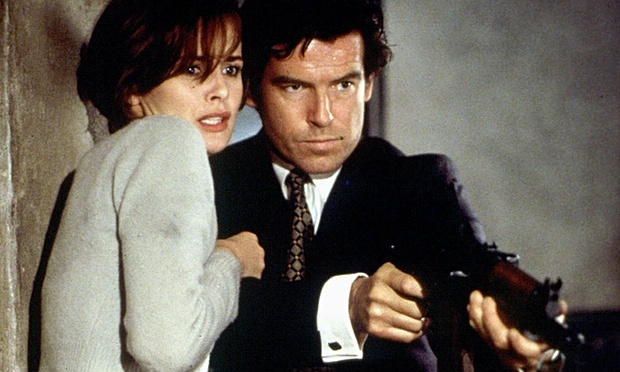 So this time, Bond had to find a way to emerge in the mid-90s cinema, to a world that was more entranced with CGI and superheroes rather than British secret agents. 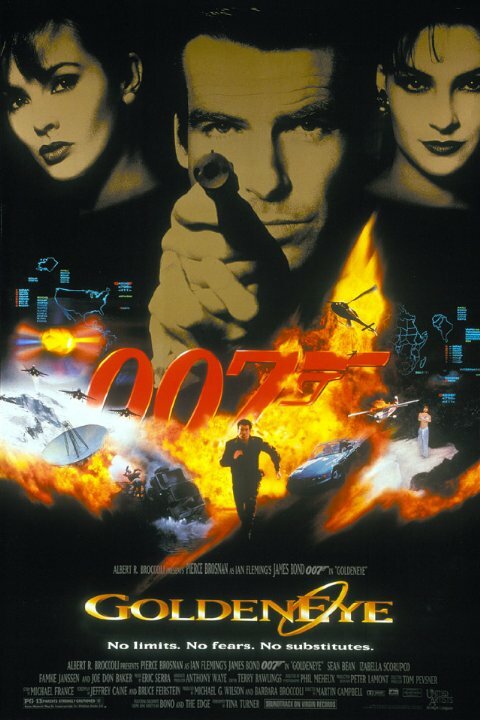 This was the first Bond movie I would see in theaters, seeing it for my 12th birthday. Having watched a lot of Connery Bond movies and some Roger Moore Bond movies, this was basically the beginning of my true fandom for Bond. I can’t say I understood much of the movie at the time, but I sure had a good time watching it. If it was a crappy movie, who knows what would have happened to the series going forward in a very perilous time for the series. Oddly, this movie became more popular once the video game version came out. I remember being leery of it because so many movie video games were horrible, but the game was so good, it reflected back on the movie. I was actually able to go back to the movie and enjoy it more after playing the game! The first thing this movie gets right is taking the idea of Bond’s relevance and running with it. The purpose of Bond is brought up a few times throughout the movie. it specifically mentioned by “M” early on in the movie with her first meeting with Bond. Since the release of “License to Kill, the world had changed. The fall of the Berlin Wall and the end of the Cold War meant a major change to the world of Bond. Bond’s usefulness in a post Cold War world is questioned. We’ve seen Bond over many movies fight villains that weren’t Soviets, so it’s no surprise that Bond is still relevant. The end of the Cold War didn’t mean the end of crazy people and their evil plans. The new villain’s plan included satellites and computer hackers, so the series quickly jumped in on the trends of 90’s cinema. The villain in this movie is one of the better ones in the series. Instead of a head of business or warlord, we have a former 00 agent as a villain. What’s good about this is it places him and Bond as equals. Alec Trevelyan knows how Bond will act, as does Bond, putting them on equal footing. This is the first role I saw Sean Bean in, and he made a good impression on me. He sells Alec’s intelligence and desire for revenge. What’s smartly done is that the pre-credits sequence, instead of being a stand alone affair, it establishes the relationship between 007 and 006 that it brings full circle in the climax. It seems like every movie, producers go out of the way to say the “Bond girl” in their movie will be stronger than all the others. It is definitely not the case in every movie, but in this movie both of the female characters are entertaining. Izabella Scorupco’s Natalya, while not being one of the more memorable Bond Girls, holds her own. Her intelligence aids Bond during the last portion of the movie, and you can buy it. It’s not a “Nuclear Scientist” Denise Richards situation. Her relationship/feud with Boris also has a great payoff. Unlike some other Bond Girls, her character fits into the plot and isn’t just there to be there. While I wouldn’t put her on the upper tier of Bond Girls, she certainly doesn’t drag the movie down like other Bond Girls have. Famke Janssen’s Xenia Onatopp definitely owns the screen when she’s on it in this movie. I can’t think of many other female villains that are formidable threats other than Grace Jones in A View to a Kill, and I think Jansen’s role is bigger and better here. I can’t finish this review without discussing Bond himself. Pierce Brosnan is effective here as Bond. The fact that he almost had the job before and had it yanked away from him probably adds to his performance. I actually think his performances improve the more he plays Bond, but unfortunately those are worse Bond films overall. He is the right Bond for the right time, though. The Bond series would not survive another forgettable bond after Timothy Dalton, so the fact that Brosnan struck a nerve with audiences revitalized the series and is the reason it is still going strong today. 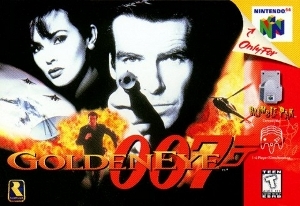 It is unfortunate that he left on such a low note, but at least we have GoldenEye, which I consider one of the best Bonds, on his resume.